Couples from different racial and ethnic backgrounds and their 'mixed' children are increasingly visible in the public eye. Though Britain has long been host to mixed relationships and population groups, since the 1990s there has been a noticeable public interest in those who are part of, or a product of, mixed relationships; what has been dubbed 'Beige' or 'Brown Britain'. However, while more and more is known about those who identify themselves as belonging to the group the Census has called 'Mixed', (1) parents of mixed children in Britain continue to be subject to longstanding assumptions and stereotypes, ones which often presume their racial, ethnic and socioeconomic profiles, their inability to raise their children with healthy racialised identities or the hypersexual nature of their marriage or relationship. Indeed, there is a strong tradition in British popular thought of conceiving mixed relationships as constituting a sexually promiscuous 'underclass' of white women producing children with feckless, hypersexual black men, contemporary examples of which can be found in television comedy sketches such as Little Britain's Vicky Pollard ("me got me man Jermaine now and we just been round the back of the waterslides making baby") or Harry Enfield and Chums' Waynetta Slob ("I wanna brown baby like all the other mums on the estate"). Behind the stereotypes, what of the actual families who are mixing race, ethnicity and faith in Britain today? How do their lived experiences challenge current assumptions and stereotypes? As several papers in this collection point out, what has long been missing in discussions of people who are of mixed - and are mixing - race, ethnicity and faith is empirical research that seeks to understand the diversity and complexity of the mixed experience, as well as its commonalities. Consequently, a recent Joseph Rowntree Foundation (JRF) funded project (6) has attempted to address the need for contemporary empirical knowledge about parents in mixed families in the UK, in particular their experiences of parenting and the choices and negotiations they make around raising their children. Secondly, the emergent findings dispute the idea that mixed families suffer from inherent 'culture clashes', and that their children are doomed to be 'identity stripped' or 'marooned between communities'. The overwhelming picture coming across from speaking to parents is just how 'normal' they feel their family is: for the majority of the parents, being in a mixed family is simply another part of their identities and lives. Indeed, data from the project suggests that negotiating belonging and difference for their children may not be parents' main preoccupation. Contrary to what has been popularly assumed, life is not a series of one 'culture clash' battle after another. Indeed, racial, ethnic or faith difference may pale into insignificance when compared with issues such as juggling a work-life balance, making sure they present a united front in relation to discipline, concerns about their children's health, and so on. In other words, mixedness is just one part of these families' everyday lives. As such, the parents in the study adopt a variety of everyday approaches to negotiate difference and create a sense of belonging for their children. While some parents do not encourage their children to see their identity as necessarily rooted in their particular racial, ethnic or faith backgrounds, but to see it as 'open', some promote a sense of belonging based on a 'single' aspect of their children's heritage, whilst others alternatively stress the 'mix', whether in terms of the specific heritages or a general sense of 'mixedness'. It is important to stress that each of these approaches appears to work for the family concerned and there is no evidence that one approach leads to better outcomes than another. 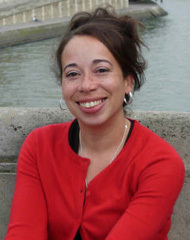 The possibility of different, but equal, approaches is something that is often overlooked in much of the literature on mixed families, particularly that stemming from the States, most of which tends to be 'instructional', informing parents of the 'right' way to raise their children so that they have positive 'multiracial' or 'biracial' identities. 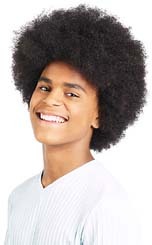 (9) Yet, as relatively little research has been conducted on families from mixed racial backgrounds - particularly beyond those of white and black mixed backgrounds, or where race and ethnicity may overlap with faith - such prescriptions may need further evaluation, especially if applied in the UK, where racial and ethnic relations have very different histories, forms and patterns. The research emerging from the JRF project shows that there are certainly commonalities between the mixed families we spoke to, in line with what Jill Olumide has called "the mixed race condition". (10) For example, many of the families mentioned the importance of the area where they live on their experiences, the way they passed on their cultural heritages through food, as well as certain shared negative and positive reactions and assumptions of strangers - and sometimes family - to their mixedness. Yet, at the same time, our analysis is also starting to indicate that what may be helpful for developing a sense of belonging for children in one family's case - relationships with grandparents, geographical location, physical appearance, etc. - may be a hindrance for another family. For some, for example, relationships with grandparents are distant or problematic, but for others they provide a great source of support, not only practically but in helping children understand their cultural heritages. Similarly, those factors that may be helpful or a hindrance are not fixed, but may change over time. Moreover, the experiences of mixed families can be vastly different, not only between the type of mix, but within the mix itself. It is likely that parents with Jamaican and White British heritages may have a different approach or experience than a family with Chinese and White British heritages. Racism and prejudice take various forms, and these impact differently for different families. Furthermore, as both Suki Ali and Miri Song point out in their papers, more attention needs to be paid to how the identities and experiences of those from mixed backgrounds is shaped, rather than assuming than it is a simple question of possessing what Twine has called 'racial literacy'. (11) Indeed, key studies in the UK, which focus on children and their parents outside the arena of social services provision, highlight the importance of several other factors (for example, school environment, peers, location, gender and class), in developing a sense of identity - racialised or otherwise - for mixed children. (12) Similarly, our analysis of families in the JRF project so far indicates that, while parents across all classes and mixes may take a variety of approaches to negotiating difference and belonging - 'open', 'mix' and 'single' - it is only middle class parents who work to develop a sense of their children's identities as 'open', which may reflect the resources - such as foreign travel, choice of schools, neighbourhood, etc. - that they are able to provide their children with. Possibly, such resources can help in supplying a range of identity options and life choices to children. It should also be noted that whilst, as mentioned earlier, families may have different experiences across mixes, they may also have different experiences between mixes - a working class Jamaican and White British family is not guaranteed to share approaches and experiences with a middle class family of the same background. Moreover, our project is confined to exploring the experiences of two parent families, whose experiences may no doubt be different to those of mixed lone parent families - indeed, it often appears to be mixed lone parent families that bear the brunt of the kinds of stereotypes and assumptions outlined earlier. 1 What sort of support might mixed families need? Given that for many, it is the other daily issues that are just as important in their parenting, do they need support that is specifically targeted? 2 Does the prevalence of middle class mixed families involving couple parents mean that we need to think more about material equality in understanding the experiences of mixed families? 3 To what extent should the research and literature on mixed families that stems from the USA influence British understandings of mixed families, given the different histories, forms and patterns of racial and ethnic relations in the two countries? 4 Given that one of the most common experiences of the mixed families in the study appears to be dealing with certain assumptions or prejudice regarding their family by others, should the focus be on the parents and children, and the parenting of these children (i.e. inside the family) or does more work need to be done with professionals and society generally to help towards a climate of 'normality' (i.e. outside the family)? The challenge is to identify what generalisations are useful, what complexities need to be acknowledged and how both of these can be practically engaged with. Working from specific understandings, rather than assumptions is a start. Hopefully, the debate generated by the papers in this series, will help to move this understanding forwards. (1) See for example, Ali (2003); Tizard & Phoenix (2003); Tikly et al. ( 2004); Bradford (2006); Barrett et al. (2006). (6) The report on the JRF project 'Parenting 'Mixed' Children: Negotiating Difference and Belonging' will be published early 2008. The project is headed by Professor Rosalind Edwards. Ali, S. (2003) Mixed-Race, Post-Race: Gender, New Ethnicities and Cultural Practices, Oxford: Berg. Barrett, M., Eade, J., Cinirella, M., & Garbin, D. (2006) New ethnicities amongst British Bangladeshis and mixed-heritage youth, published reports from the Department of Psychology: University of Surrey. Bradford, Ben (2006) Who are the 'Mixed' ethnic group? London: Office for National Statistics. Caballero, C., Edwards, R., & Smith, D. (forthcoming) 'Cultures Of Mixing: Understanding Partnerships Across Ethnicity'. Katz, I. (1996). The Construction of Racial Identity in Children of Mixed Parentage: Mixed Metaphors. London: Jessica Kingsley Publishers. Olumide, J., (2002) Raiding the Gene Pool: The Social Construction of Mixed Race, London: Pluto. Nakazawa, D. J. (2003) Does Anybody Else Look Like Me? A Parent's Guide to Raising Multiracial Children, Cambridge, MA: Perseus Publishing. Reddy, M. (1994) Crossing the Color Line: Race, Parenting and Culture, New Brunswick NJ: Rutgers University Press. Tikly, L., Caballero, C., Haynes, J. & Hill, J. (2004) Understanding the Educational Needs of Mixed Heritage Pupils, London: Department for Education and Skills. Tizard, B., & Phoenix, A., (2002) (2nd ed) Black, White or Mixed Race: Race and Racism in the Lives of Young People of Mixed Parentage, London: Routledge. First edition 1993. Twine, F W., (2004) 'A white side of black Britain: The concept of racial literacy' in Ethnic and Racial Studies, 27 (6): 878-907. Waters, M., (1990) Ethnic options: Choosing identities in America. Berkeley: University of California Press.